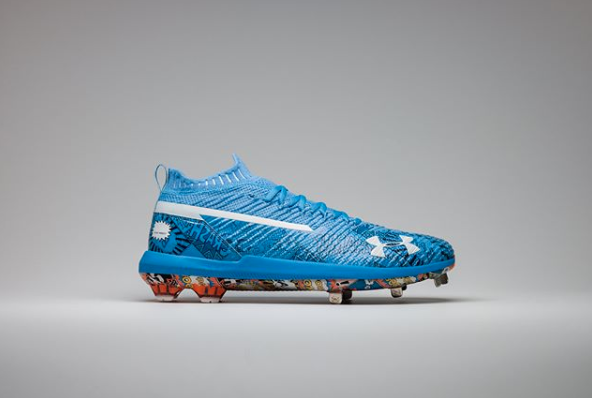 Under Armour created custom Father's Day cleats for their players based around the idea of your dad being your Super Hero. 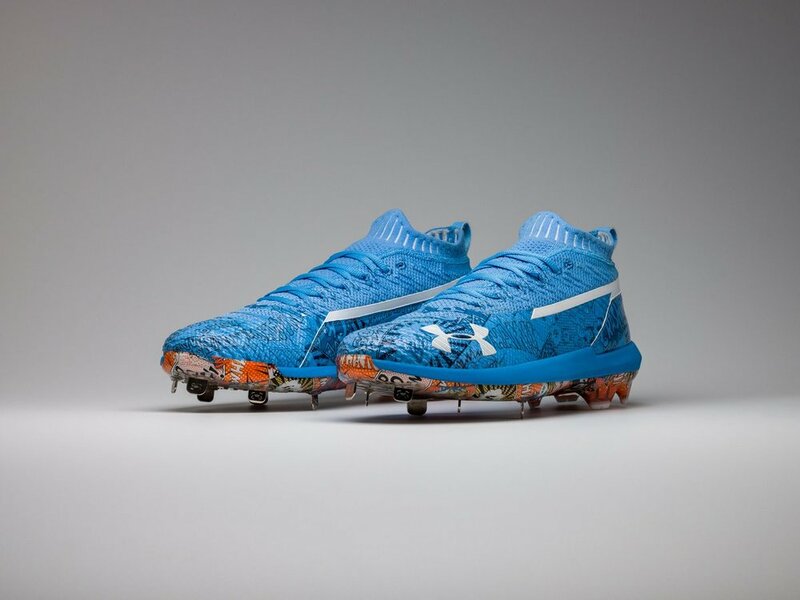 The blue based cleat is printed with comic book designs. 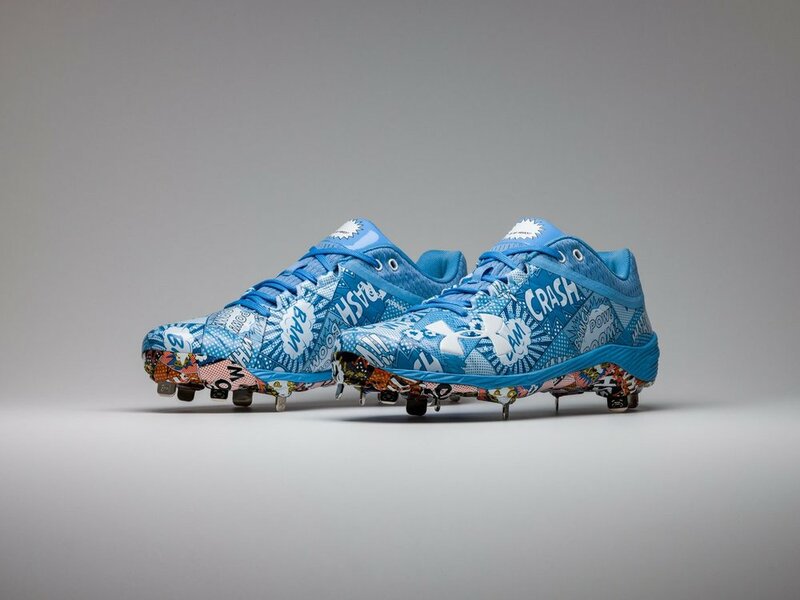 On the back of the cleat is a spot for the player to write in their Fathers name above "______ is my hero". 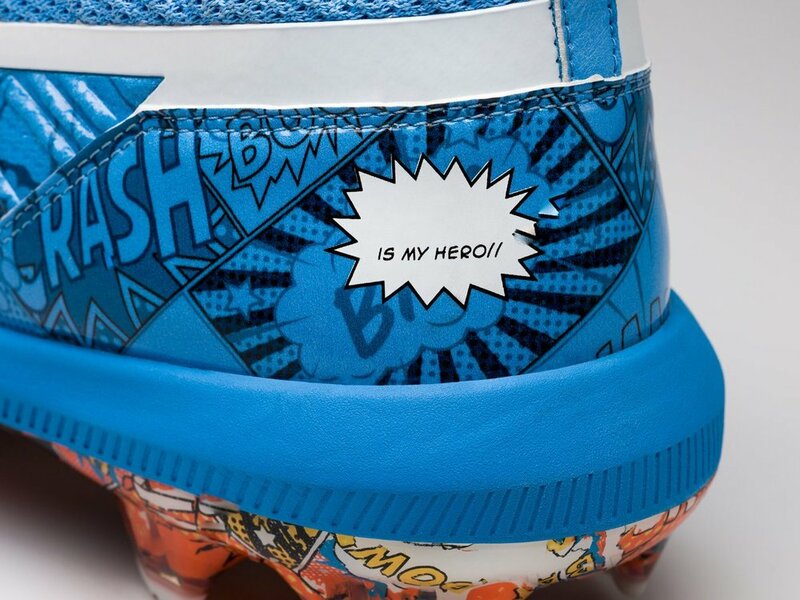 The bottom of the cleats pop a little more with full color graphic of comic book action words.